Or other amount $50 to $2,000 $ In $25 increments only. Whether they're just starting, building or completing their Cutco collection, the Cutco Gift Card is a great choice. It never expires, includes a personalized greeting card and is redeemable online or by phone with any Cutco order. Regular shipping is included, but express shipping options are available. Cutco Gift Cards do not expire and are redeemable only for purchases of merchandise in the USA at Cutco.com/giftcards. Cutco Gift Cards cannot be returned for a refund. 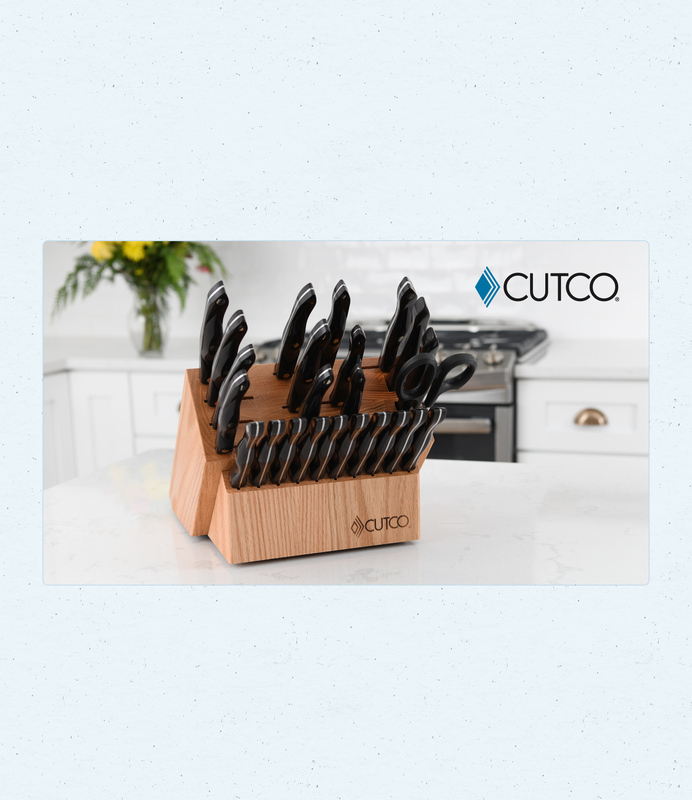 Cutco Gift Cards may only be used for new purchases and may not be applied as payment or credit for previously existing orders or account balances. Cutco Gift Cards are not redeemable for cash, except where required by law. Lost, stolen, or damaged Cutco Gift Cards may only be replaced for any remaining amount with proof of purchase.